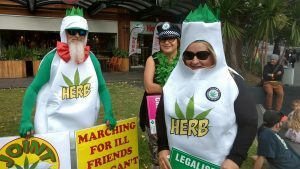 Medical cannabis advocates and supporters will rally this Saturday 1st July, in several nationwide events. The rallies will include patients, caregivers and medical professionals as well as their supporters. In Auckland, gather on Queen Street opposite Aotea Square, at 12 noon. 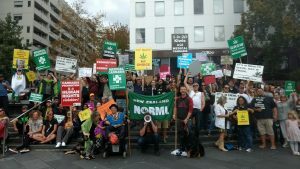 A follow up to their 2016 medical march, and the Rally and March held on 22 April this year, this rally is presented by Auckland Patients Group and NORML NZ Inc to show support for medical cannabis law reform. For more information see the Auckland Patients Group facebook page. 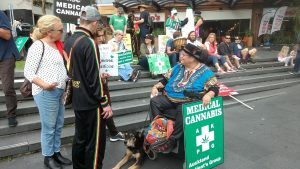 Candlelight vigils in memory of Alex Renton and everyone who has died, is suffering or has been jailed for cannabis, are also being held throughout New Zealand. Presented by It’s Medicine (Rose Renton) in memorial of Alex Renton, the first New Zealander to receive cannabidiol, an extract from the cannabis plant, in a New Zealand hospital. Nelson: gather at Trafalgar Steps at 6pm. Christchurch: outside C1 cafe at 6pm. Hamilton: entrance of Waikato Hospital, at 6pm. For more information see In Memory: National Vigil on facebook. Also on Saturday 1st July, the international documentary series DrugLawed will release a special chapter on medical cannabis in New Zealand, featuring Rose Renton, Sue Grey, Rebecca Reider and Victoria Davis. The chapter also covers the story of Alex Renton. It can be downloaded or streamed online here: http://druglawed.vhx.tv/ The small cost of $4.20 helps fund DrugLawed and ensures the production can continue. NORML is a proud sponsor of DrugLawed. 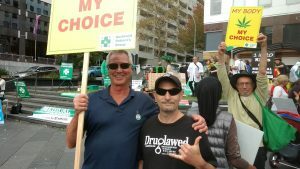 With an election due to be held in New Zealand in under three month’s time, and polls consistently showing massive support for cannabis law reform, all of our major parties except National now support some form of law change. Both the Green Party and Labour have pledged to ease medical cannabis access if elected to government. TOP released a comprehensive cannabis legalisation policy last month. ACT leader David Seymour would legalise cannabis “tomorrow“. The Maori Party now supports decriminalisation, medical use, and is “open” to having a conversation about legalisation. NZ First has promised a binding referendum on cannabis laws. Even United Future now supports making legal all low risk drugs including cannabis. National is alone in continuing to support the existing, failed, policy. 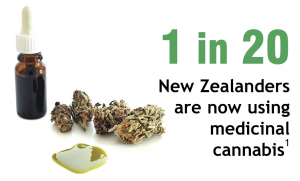 In July and August 2016 Curia did some polling for the NZ Drug Foundation to establish views of New Zealanders on a number of scenarios relating to cannabis, ranging from commercial sale of cannabis, personal growth or use and growing or using for medical reasons such as pain alleviation or terminal illness. They were asked in this situation whether such an activity should be legal, illegal or decriminalised (an offence but only punishable by fine). Pain relief – 63% legal, 16% decriminalised, 16% illegal. Terminal illness – 66% legal, 16% decriminalised, 15% illegal. This is massive support. Around four out of every five voters wants there to be no criminal sanction for the medical use of cannabis. Only one in six think it should be illegal, as the law currently stands. 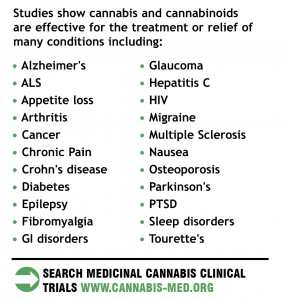 Note this is about cannabis itself, not medical drugs based on cannabis. It was specifically on whether using or growing for medical reasons should be legal. As people will know a bill making it legal to possess or grow cannabis for medical reasons has been drawn out of the ballot and will be voted on in this Parliament or the next one. I really really hope as many MPs as possible vote for it at first reading. 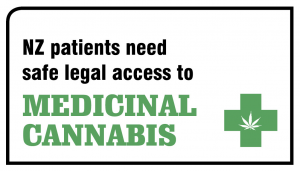 A select committee is the ideal place to work out details such as how best to make cannabis available to people suffering from terrible pain (do you allow them to grow their own, or do you have some sort of shop they can buy it from). But voting against the bill even going to select committee would be massively tone deaf to the vast majority of New Zealanders who don’t want terminally ill New Zealanders to be forced to become criminals in order to have effective pain relief. Perfect is the enemy of good. No members’ bill is perfect, but unless the bill is fatally flawed, it should proceed to a select committee where expert advice can be submitted on how best to have a regime where those in pain can legally get effective relief, but also minimising the ability of people to game the system.